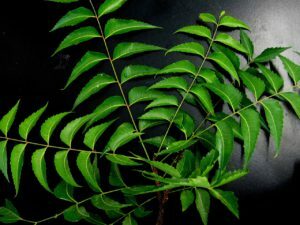 What is Neem? How it can help with your health and stress management? Can it help with anxiety? What is it great for? Here you can also find one of the best Neem supplements if you wish to use this herbal remedy for your well-being and stress management. Nowadays, almost everyone experience stress daily and a lot of people suffer from chronic stress for a very long time. It’s not right and stress can cause many problems, especially with your health. Is something really important if you struggle with your health because stress impacted your immune system and caused you to get ill? Herbal remedies and supplement are great to improve our health and help us with stress management. Too often health is something we really need to focus if we want to see less stress in our lives, be more resistant to stress and more able to deal with stress. This is why I am talking today about an interesting herbal remedy that may help you with your issues. 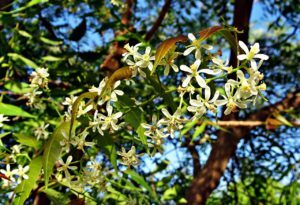 Neem (Azadirachta indica, also known as nimtree or Indian lilac) is an evergreen fast-growing tree that can reach a height of about 20 meters. It is native to the Indian subcontinent (India, Nepal, Pakistan, etc.) and typically grown in semi-tropical and tropical regions. The bark, root, leaves, flowers, and seeds are used to make medicine. 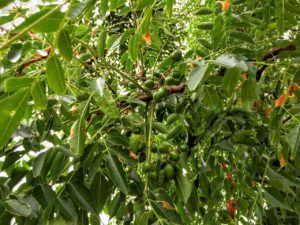 This plants fruits and seeds are the sources of Neem oil. There are many clinical studies about the benefits of Neem in India, and this plant has been used in the Ayurvedic tradition. It has similar benefits to Goldenseal and Echinacea. Neem can be used for skin issues (dryness, wrinkles, skin ulcers, etc.). It can help with eczema, psoriasis, diabetes, fatigue, arthritis, liver problems and other issues. As you see, this amazing plant has many benefits, and it can be used for diseases of the heart, asthma, fever, gum disease, upset stomach, eye disorders, cough, urinary tract disorders, malaria, pain and for many other things. But there needs to have more research, more evidence to rate the effectiveness of Neem. According to Ayurveda’s traditions, Neem purifies the blood, promotes healing, destroys toxins and supports proper digestion. Neem is a herbal alternative to toothpaste that supports oral health. It is also commonly used as an organic insecticide on garden plants. Is Neem Especially Great For Stress Relief? One study shows that Neem may even be useful for reducing stress and anxiety. An experiment was done on animals to check what kind of effect Neem leaf extract had on them. Neem has the ability to increase the amount of serotonin in the brain and it could be safer than the drugs that people use for stress. We all know that drugs may cause many side effects. So why not use Neem supplements instead? Right? Here you can find three great Neem supplements that could help you with stress and anxiety. But always remember that you need to consult with your doctor before taking any kind of supplement. Description: This supplement is a premium organic Neem oil that is authentic, natural, pure and hexane free. It is a natural and effective solution against insects, for example, mosquitoes, lice and bed bugs. The high-quality fresh Neem seeds were used to make this cold-pressed Neem oil. This oil has a high concentration of the azadirachtin and natural tallows. The company claims that because of their dedication to quality and detail, they have been able to achieve the most concentrated and cleanest Neem oil. Neem oil has many great features, including natural antibacterial and fungicide properties. It can also be used as a pesticide, could be ideal for integrated pest management and help to control Rusts, Scab and Mildews. Description: This supplement contains 475 mg of Neem leaf powder. Neem has been used traditionally to purify and cleanse the body. Neem leaves that were used in this supplement were carefully checked for purity, quality, and potency. This supplement was produced to superior quality standards in accordance with Good Manufacturing Practices (GMP). Many customers weren’t satisfied and wrote that this supplement didn’t work for them. Description: This high-quality supplement contains only organic Neem powder and it is made in the USA. This product is processed in accordance with the USDA’s National Organic Program (NOP). Herbs aren’t only sustainably sourced, but also fairly traded. This product is tested for quality and safety. This supplement can help with detoxification of your body, cleansing the liver, purifying the blood and supporting the immune system. It is also great for healthy blood glucose levels and healthy skin. You should be excited because it seems that Neem is not only great for your overall health, but also for reducing stress levels and anxiety directly. It looks like this supplement is as good as any other Neem supplement to experience this herb’s stress relief benefits yourself. Now you know what is Neem and how it can help you with your health, well-being, anxiety, and stress. Before writing this post I didn’t know that Neem is so great for stress and anxiety relief and there is even one study proving that. So we all learn something new in this process which is great. I and I think many of us learn something new each day and that is amazing, valuable, helpful and we become better versions of ourselves each and every day like it supposed to be. Neem is really great not only for your overall health and well-being but especially to anxiety and stress management. We need to remember that and use this amazing supplement for our benefit. Neem can help with many other things and health issues. What do you think about Neem and its supplements? Did you use Neem supplements before? Are you planning to do it? Let me know below! If you are looking for the best Neem supplements, CLICK HERE for more information.